We’re so excited to reveal the product of months of hard work. We’ve put a lot of time and effort into our new website, and we’d love to hear your feedback. 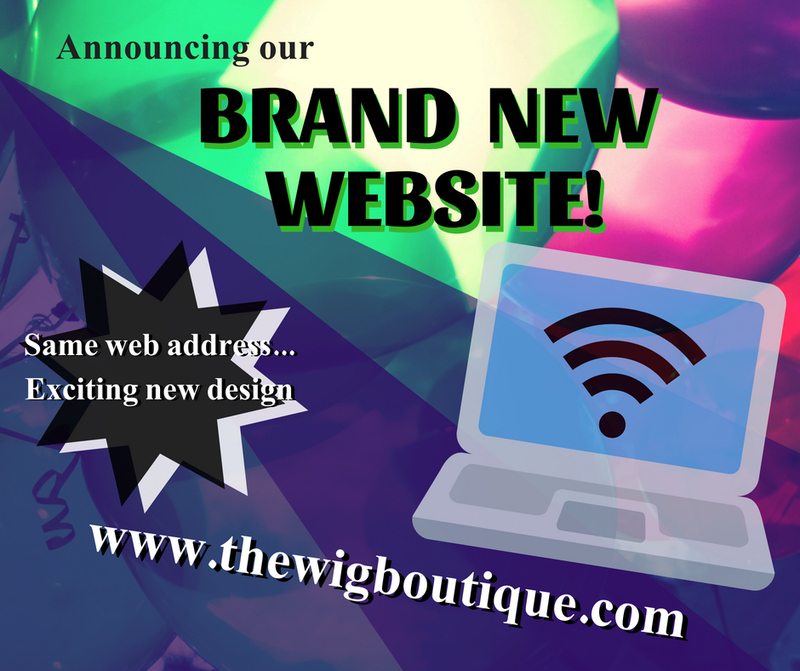 Unlike our old websites, this one has been designed and built entirely in-house by Wig Boutique staff. With our knowledge and expertise as both wig sellers and wig wearers, we’ve tried to design a website that caters specifically to your needs. There are plenty of exciting new features we’re eager to show off. If you’ve ever been confused about the parking situation at our store, we now have a handy animation on our Contact Us page that will show you how to find our free parking. We finally have the ability to search our site, making it easier to find whatever you might be looking for. Perhaps the most exciting addition, however, is our Wigs, Products, and Head Coverings pages! You can now see every wig style, care product, and hat or scarf that we carry listed on our site, with detailed descriptions, specs, and even pictures. You can search the shop pages and filter products by category, such as: short, medium, or long styles; monofilament, standard cap, or lace front; petite, average, or large cap; and more. We can’t wait to hear what everyone thinks about the new site! Please enjoy.